Peace has reigned in Moorbia, due primarily to the tireless efforts of NOVA, the international body set up to arbitrate disputes. It has kept the peace for many decades and has avoided several major conflicts. But it has been a strained peace, like the calm before a storm, like a cloak to something far more sinister. A rivalry between Moorbia’s two great powers, The United Kingdom of Akadia, the dominant power in the Outer Rim and the Myan Empire, which dominates the more populace Inner Core. Fear has been the driving force behind this rivalry, fear of losing its place, fear of subjugation. Now a new player has emerged, the Republic of Knome, a former colony of the Akadian Government from whom they won their independence. 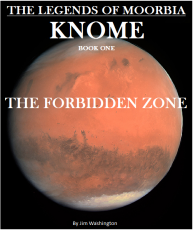 With the discovery of a new highly efficient fuel source, Knome has become the jewel of Moorbia, being courted by both the Akadian and Myan governments. This page was created in 2.5896 seconds.